Welcome to ONE Movement! Please complete the following registration form. Please click on the Search button below, then choose the class. Registration Fee Applies for families paying their monthly payments by: Cash, Visa, MC, Debit or Email Money Transfer *families paying by post dated check, registration fee is waved. $40.00 Registration Fee for our Sept-June Programs. $5.00 Registration Fee for our Adult Dance Programs and Day Time Dance Programs. As a parent/guardian/student 18 +, bringing my child and or attending dance classes with ONE Movement. I fully understand that my son's/daughter's/my participation in classes with ONE Movement and their company teachers, they/myself may be exposed to a variety of hazards and risks, foreseen and unforeseen, that may include, but are not limited to, personal injury, property damage and death. To the fullest extent allowed by law, I agree to waive, discharge claims and release from liability ONE Movement, Autumn Fernandes Owner, Artistic Director of ONE Movement, all of ONE Movement's company members/teachers, from any and all liability on account of, or in any way resulting from Injuries or damages. I understand and intend that this assumption of risk and release is binding. I hereby certify that I have read, understand, and agreed to the foregoing (and or) allow my above named child/myself to take part in dance classes with ONE Movement. 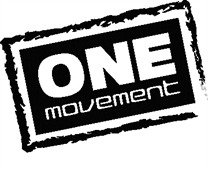 ONE Movement enjoys sharing our workshop and dance class memories with you through photos and videos. Photos and videos are used on our website, you tube, social media pages and in our ONE Movement Dance Centre Year Book. By signing you agree to allow ONE Movement to use photos and videos of the above named child /student 18+/yourself. Our dance sessions/payments are non-refundable after the first class has been taken. This helps ensures dancers commitment to learning and class consistency. We understand time for learning and adapting to new activities and surroundings and want to ensure our dancers experience a positive one. Once your spot in the classes is confirmed after the first lesson any withdrawal from the session will result without a refund. Payment for dance sessions are non-refundable after the first class is completed. Our Adult Dance Session run on a eight week commitment. Fees are paid for the eight weeks and your eight weeks start when you do. Fees for our Adult Dance Session are not refundable after the first class has been taken. There are no make up classes for missed classes. By signing you agree and understand to the above. Year End Show Performance which takes place in June. By signing below you agree that the above named student can participate in the Year End Show and understand that there will be a costume fee related to their participation.